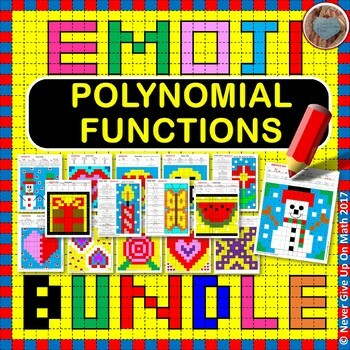 In these Emojis students will work with Polynomial Functions. Please visit the links below for more details about each individual product. 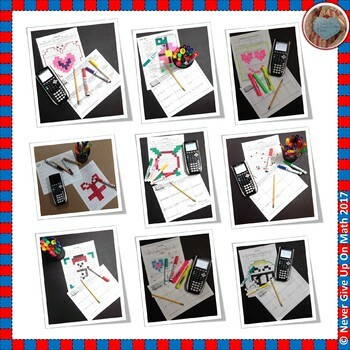 My students are fascinated with an additional coloring option that I have included where they could pick their own 4 colors. They have become very very creative. I am including this option in this emoji and I truly hope that your kids will love it as much as mine have. 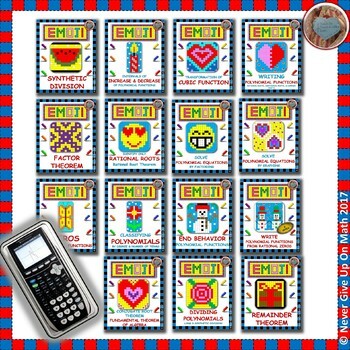 Each of these RELAXING EMOJI could be used in: math centers, group work, a way to check for understanding, a review, recap of the lesson, pair-share, cooperative learning, exit ticket, entrance ticket, homework, individual practice, when you have time left at the end of a period, beginning of the period (as a warm up or bell work), before a quiz on the topic, substitute planning, and more.